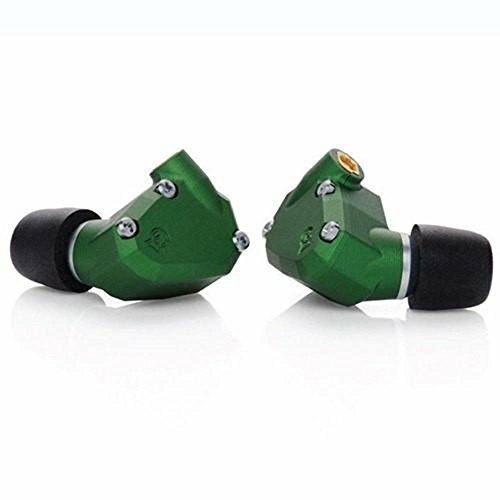 The Campfire Audio Andromeda In-Ear Headphones' design integrates five balanced armature drivers with a tubeless resonator box into a machined aluminum enclosure. The sonic quality and range of this earphone is sure to impress. The Campfire Audio Andromeda In-Ear Headphones combines all of the best elements of our earphone design experience into a single set of earphones. And the result is a remarkable and unique sounding earphone. The Campfire Audio Andromeda has superior top-to-bottom coherence. It exudes confidence in its handling of musical detail. It has high frequency extension that makes symbols sparkle and expand past your listening horizon. Mids are fully resolved and uncolored. And the bass is extended and balanced; rich in texture and well defined. Careful selection of each element of our earphones is just the start of the meticulous assembly of your earphone. Campfire Audio's close attention at every stage from design to production ensures your earphones will be a worthwhile and lasting product. This attention to detail is also critical in delivering you the superior musical experience from Campfire Audio's Andromeda. Campfire Audio test and select each individual driver for its close conformity to our firmly established tuning and performance criteria. Assembled by expert craftspeople. Inspected carefully and paired tightly. If you have any questions about this product by Campfire Audio, contact us by completing and submitting the form below. If you are looking for a specif part number, please include it with your message.